As featured on The Real Housewives of Atlanta, Kim Zolciak's 40th Birthday Party as filmed by BRAVO for Don't Be Tardy and the recipient of nearly 1,000 calls after being featured on Q-100's The Bert Show based on the accuracy of her predictions. 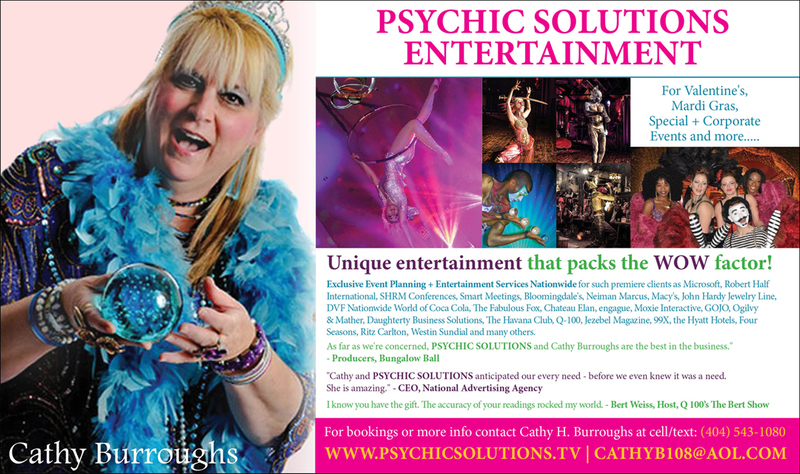 Cathy is a gifted psychic (clairvoyant, clairaudient, clairsentient, claircognizant), astrologer, healer/medical intuitive, tarot card reader and medium. Coming the 3rd or 4th Weekend of January 2019.
sentience, channeling, visualization, manifestation, working with the lunar cycles and more. We may explore reading a variety of modalities including tea leaves, etc..
present and future. We will explore a wide range of different means of receiving information and validating the accuracy of that information. There will be practice readings with each other, one on one and in the group, as well. coaching session with Cathy or a mini astrology update. Tea Leaf Readings and more at your next event. Bring the WOW Factor to your next event! As far as I'm concerned Cathy is the best psychic on the planet. See your life take off exponentially! The workshop was amazing. You are so gifted that it boggles my mind! Both Guest Teachers will be providing mini readings following the workshop as schedules allow for additional fee. For details, call (404) 292-2000 or email: cathyb108@aol.com. For full course description go to www.psychicsolutions.tv or call/text: (404) 543-1080. In this weekend intensive, we will cover a wide range of topics with many interactive exercises and opportunities to provide practical means of developing one's natural intuitive and psychic gifts. We will learn how to read past, present, future, how to scan energy and the body, access your guides and angels. We may use psychometry (working with objects), guided meditation, automatic writing and working with guides and angels, clearing the aura and chakras,managing the energies with protection and grounding; working with energy, spirits, guides, shamanic journeys, past lives, opening the third eye, pendulum/muscle testing (tools of validation) towards developing clairvoyance, audience and sentience, channeling, visualization, manifestation, working with the lunar cycles and more. and has a great ability to convey that knowledge to us. Because of her instruction, I feel very comfortable with natal charts, interpretations, aspects, progressions, and many other concepts of astrology. Cathy's reading changed my life. I've been on an accelerated path of development and evolution since I met her. Incredible. Our employees loved it! You were spot on! How do you know this stuff? You made me a believer! You are bang on. You are one of the most best psychics I've ever spoken with. You won't believe the amount of hits you've had, Cathy! And much of this made no sense at all when I first heard it. In October 2012 I asked when my brother was going to move of my parents home. You said 11 months soonest, but likely a year and a half. He moved out January 2014, just under a year and a half! In October 2013, you told me I would have two pay outs from a lawsuit: one would be paid out to me in April. I have a settlement due in April 2014. (maybe a sister or ex girlfriend) and I would need to be nice with the woman. You mentioned it would be like the show Scandal. You said this man would be dark exotic, 6'3" with a sports car. I met this man in May 2013; he recently revealed I was a sister to him, and he wants to visit me with his girlfriend. He is 6'3 , dark, exotic and has a sports car. because I consider him family. He will be here soon. Will have to keep you posted on how that works out. In October 2013, you said I would have an independent job and travel of some type. I have an independent job, and I work in 48 states over the year. You are amazing Cathy!!!!!!!!!!!!!!! I had a reading that has proven so incredibly accurate, my hands are shaking as I write this. You are amazing! Validation after validation! I felt like my mother was actually in the room! You are a true angel of light doing exactly what you are meant to do. An extraordinary, compassionate, generous human-spirit of God at work. "I went to "talk" to Cathy. I had recently been awarded my first significant contract as a consultant, my first. Without mentioning anything, at the very start, she told me that I will be doing very well financially in the coming years and money will not be problem. Well now my contract is being extended beyond the original agreement. I have been able to pay off debt, treat my family to a 3 1/2 week vacation which included a 12 day cruise to New Zealand and Australia, places my family never thought they would be. She also told me things about my mom with specific descriptions no one but my siblings would have known." - Self Employed Engineer with No Worries. Cathy is really extraordinary. The level of accuracy, detail, insight, scope of her abilities is truly amazing. I have never met anyone who even comes close to her giftedness. you and how amazing and what a great person you are! Wow… you are incredible and just brilliant. I feel so much lighter, so heard and so relieved that you get me! You are truly a Godsend for me now. With gratitude from the bottom of my heart and soul. In 50 years I've never met anyone who comes close to her giftedness. You are so accurate. The best in the business! You are really exceptional. I don't think you realize how exceptional you are. By the way, I think you are the coolest, bestest, most creative and accurate reader out there! I've been raving about you. You will say these totally random things that turn out to be spot on. You are my psychic for a lifetime. We thought you were our own little secret. Prediction, after prediction. Amazing accuracy! I have been to you for years and you never cease to amaze me. She is an exceptionally gifted person. Wow. - her name! She's just not to be believed. I don't know how she does it! detailed, and often to the day. Even the predictions you had for my son and daughter which seemed completely unlikely, came true. Also the healing/clearing work you did for me was profoundly life-changing. meet the love of my life - all happened. You also told my son he would not be in the Navy but the Army and you saw him in a blue uniform. He, in fact, much to his shock and disbelief, found himself at the Citadel wearing a blue uniform. I've found you again after all these years. What a blessing to speak to you. I'm now so excited about my life and my future again! it was for the details and the exact dates that you had said. The other thing - and there you go again! You set me on my path, and what a wild and wonderful path it has been. I highly recommend Cathy for your spiritual questions and discovery! it is very hard to find all of these skills in one person. and sometimes she works with her friend Gail for a double psychic reading or healing. she does tarot; she teaches spiritual tools/techniques, and she can do healings on other people for their highest good. Skype sessions with her at night around our busy schedules. For me, Cathy has provided clarity about the events that are coming with my business, myself, and my relationships as well as past life patterns. and a helpful resource. Take advantage of this wonderful opportunity with Cathy and enjoy! I'm really quite amazed. You are my psychic for a lifetime. You really have quite a gift. Remarkable! where I could find work....on and on.....I have been to you for years and you never cease to amaze me. She is an exceptionally gifted person. Wow. I thought she was like a genius! and this I could not believe - her name! She's just not to be believed. I don't know how she does it! detailed, and often to the day. Even the predictions you had for my son and daughter which seemed completely unlikely, came true. Also the healing/clearing work you did for me was profoundly life-changing. I am so glad I found you again. Ten years ago you predicted I would not be with my husband and would meet the love of my life - all happened. You also told my son he would not be in the Navy but the Army and you saw him in a blue uniform. He, in fact, much to his shock and disbelief, found himself at the Citadel wearing a blue uniform. Can you believe Cathy accurately predicted ten years into the future - I don't know how she does it! I could not believe this! You are uncannily accurate - really amazing! You are one of the most talented people I have ever met. and sometimes she works with her friend Gail for a double psychic reading or healing. She does many types of astrology; she heals chakras and energy; she does tarot; she teaches spiritual tools/techniques, and she can do healings on other people for their highest good. No need to go elsewhere since her skills will offer whatever you need! I love the video Skype sessions with her at night around our busy schedules. For me, Cathy has provided clarity about the events that are coming with my business, myself, and my relationships as well as past life patterns. I lived in Atlanta for a few years but I did not find Cathy until I lived in Florida. Cathy is caring, accurate, and a helpful resource. Take advantage of this wonderful opportunity with Cathy and enjoy! In all the many many years I've been getting readings I've never met anyone who comes close to her giftedness. Also available for private readings most days, evenings and weekends, as her schedule allows. email: cathyb108@aol.com or message on Facebook. as well throughout the SE and nationwide. will wow your guests at private and corporate parties as well as special events! together with the full spectrum of exceptional yet affordable entertainers of all varieties. psychometry, tea leaves, handwriting analysis and much more. 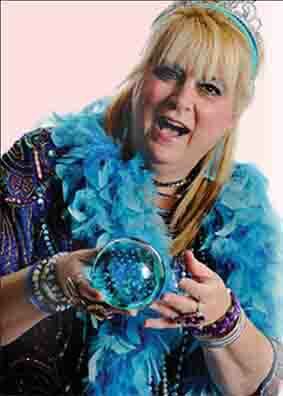 Psychics can come in costume and will "wow" your guests with the accuracy of their predictions. These are the real deal and have been featured extensively in the media. decor, games and customize your concept from soup to nuts. 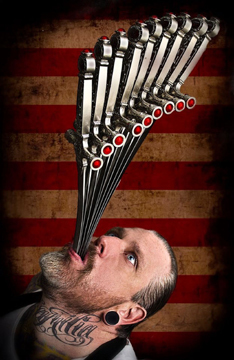 Balloon Artists, Tattoo Artists, Comedians, Burlesque Shows, Novelty Acts and so much more! We promise and deliver the WOW Factor! and more for both kids and adults. Cathy's reading changed my life. I've been on an accelerated path of development and evolution since I met her. Incredible. and in the exact order you said it would. I just wanted you to know. We spoke in 2007 and I'd like to have another reading. At that time you said you saw me in education. Well, I had absolutely no intention of going into education. Now I'm a teacher. London, Paris, the Mediterranean and Australia - all happened! You told me a few years ago that when my son was 4-5 his father would come back into his life. Hey Cathy! Meeting you was such a pleasure and amazing experience and about one of the best gifts ever!! You hit the nail on the head again! He asked my daughter to marry him last night. It happened exactly when you said it would. and was having difficulty getting my first job. You gave me a date on when I would interview and told me several possible locations it might be. You were exact on the date and it was at one of the locations you mentioned. You also mentioned someone from my personal life whom I'd lost contact with coming back into my life. thought it could be six weeks or six months but it ended up being 6 days. You came to our Bridal Shower about a year ago and everyone is still talking about your readings. You even said you saw someone finding their true love and being surrounded by water. I want to get an appointment with you while I can still afford you. A beyond belief reading! My daughter said you were clear and very accurate and I felt you were with my reading of my husband. Thank you very much for sending me the summary of our last reading session. I really liked the way you express your personality. make people very comfortable with an absolute peace of mind. Lucky are those people who are blessed to have you as friend. so much of the things that you told me. It was so exciting and wonderful and I look forward to all the great things unfolding in my life. to admit, she was right! Thank you soooooooooooooooooooo much. It was truly fantastic. In my opinion you're a super star - the next Lisa Williams! I couldn't believe it. You predicted this guy would come into my life. I was seeing someone else. You said "not him." You described him perfectly. You gave the exact month. You described our relationship - how it would be and feel. And there he was. He came in as you said - right out of the blue. thoughts better than you even know yourself. I am so glad I found you again. Ten years ago you predicted I would not be with my husband and would meet the love of my life - all happened. there we were! I cannot believe I've found you again after all these years. What a blessing to speak to you. I was very much surprised that the projects you predicted would do well, did. Also I did meet that man from Florida you saw - on a plane. I'm so excited to talk with you and feel so happy about the way things will unfold now. My friend said you were amazing. You said her trip to Orlando would be lucrative. a big new client when she was there – and she wasn’t even there on business. I can't believe how accurate you are. You got all these unlikely details about my birthday. what I hope and pray will be and my daughter's future and one that I know she wants. Thank you, Cathy, for everything; you are truly a blessing. I so believe that people enter your life for a reason and you did as a result of a conversation with a dear friend who raved about you and your readings. Have a blessed day and again thanks from the bottom of my heart. By the way, you came up with the actual initials of the man I’ve been seeing. Cathy! I looked back over our notes on that talk and you said I would be taking an exotic trip to either Turkey, Morocco, Syria, Istanbul…. possibly a couple of countries!!!!!!!!!!!! I was also going to check with my friend in Crete to see if we could somehow make it over during my time. I was a non-believer and after speaking to Cathy once, I am totally convinced. Thank you once again for all the love and light that you bring into this world. You bring a much needed positive balance to our universe. I am lucky to know you and call you a friend. Cathy, you are such a light and so full of love and gifts. Thank you for sharing you and your gifts with us. We love you and will hold you in our hearts no matter where our paths lead us. Continue being the love and light that you are. You were so there for me at this critical time. Your help will never be forgotten. the most difficult time I can remember. and you even came up with his name! work you did for me was profoundly life-changing. with my husband and would meet the love of my life - all happened. ound himself at the Citadel wearing a blue uniform. Also you told us we would all go to Florida. there we were! I cannot believe I've found you again after all these years. You said I would marry soon to someone else. It happened. I am still in shock. Good call! Impressive. CATHY LOVE!! Can I just say, WOW!! This whole weekend was off the charts incredible!! with things as they really are. What a gift you have! What you gave my through this class has taught me so much. This whole experience was just magical and amazing!! I can't thank you enough for everything, and just, wow. I cannot articulate how much it meant to me and how great it was (and you are!). I'm SO happy I was able to be a part of the weekend. This is a great weekend intensive for psychic development from the incredible psychic Cathy Burroughs. Amazing things come out of her classes. A magical enchanting adventure. It was much more than I anticipated in addition to learning tools and doing readings there was all kinds of amazing information. taste, try and enjoy. The others in the class were our perfect teachers and mirrors. Thanks for facilitating and bringing so much of yourself to this event. You had me completely crying. I miss my husband so much and this was just what I needed. about his illness, intimate moments, even a game he gave our son that had been in the family for three generations. past lives, healing/clearings, astrology, channeling, psychic work and mediumship. I didn't even realize was his name. Wow. Speaking to you is like a feast! I love it. You are amazing! Valdiation after valdiation! I felt like my mother was actually in the room! Thank you for sharing everything with me, Cathy, and giving me so many answers! Because the session went so well I can only assume my mom wanted to me to have more answers about how she died. To know about her grief over it and how she will always be with me! Can’t thank you enough! how I would finally become pregnant during our last session and it was incredibly accurate. You are the real deal! I felt like I was actually speaking to my sister. The details - even down to what was in her closet, what she wore and what we ate on her birthday. Incredible and very specific. I feel so much better now! This really helped me to begin to heal and begin to find closure. We had Cathy do readings for my nephew's 18th birthday party and she was a huge hit. Her insights were wonderful and she gave each of us much to think about. 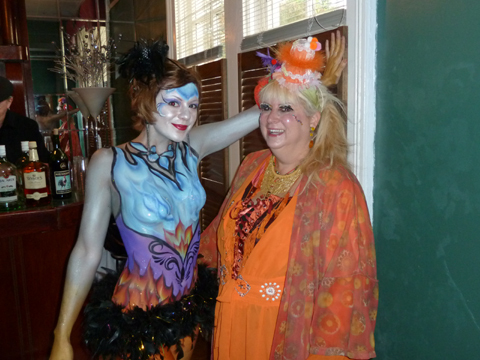 I would not hesitate to highly recommend Cathy for any party or event. She is something special and I think my nephew will never forget his 18th birthday party. She definitely contributed to making it unforgettable! Daimon was exceptional. My guests all stayed much longer cause they all wanted a reading. She was extraordinary and the absolute hit of the party. Everyone was asking if you were coming back this year. Everyone was so freaked out. You weren't wrong about anyone. Every single one of your predictions for every single person happened as you said. I believe you have someone in your rolodex, Ms. Cathy Burroughs. 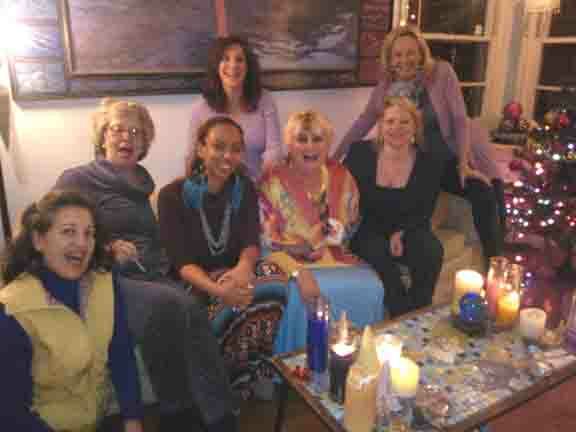 tarot, crystal ball, astrology readings, pamper parties etc...She is AMAZING!! have always received wonderful feedback. So please keep her in your thoughts!! She can organize that side of event for you stress free! I truly have enjoyed working with her! It is just that quality people are hard find and I wanted to remind you of Cathy's services!! getting incredible detail about our lives that had us gasping! You are the best astrologer I have ever been to. Cathy reads a chart with the sensitivity and brilliance of a poet and the insight and wisdom of a seer. THANK YOU FOR TONIGHT'S CLASS! YOUR TEACHING RULES!!! one of the best teachers I have ever been a student of. interpretations, aspects, progressions, and many other concepts of astrology. You are a phenomenal teacher and your reading and mediumship blew me out of the water! Your workshop exceeded all expectations. I got so much more out of it than I could have imagined. Your lecture was fun, brilliant, fascinating – it was everything! I loved it. We’re still talking about your innovative ideas. They really got our attention. Cathy B is one of the most gifted healers I have met. She brings to the table many, many hats. Our session Saturday was the best clearing ever. Many thanks! I found your guided work to be authentic, sacred, pure and useful. Also my assistant's reading just blew her away. Cathy's business predictions have proven correct time and time again. I refer to her often to assist me in my career choices and business decisions. Your medical intuition session empowered me to trust my own instincts. I was able to obtain a much more accurate diagnosis, and avoid surgery. I have enjoyed tremendously working with Ms. Cathy Burroughs over the last 14 years. She has been a trusted confidant, counselor and intuitive advisor. traditional practices available today by therapists. I have been able to gain deeper levels of insight and work constructively on serious life issues. Cathy Burroughs is a powerful teacher and astrologer who has enabled me to follow my personal legend. Thank you! Do you have a business degree from Columbia or something? How do you know this stuff? Thank you so much for coming to our surprise birthday party! I had so much fun and I loved my reading. Thank you. You are so honest and caring and considerate and FUN. Thank you so much again for staying late and just being so kind, and yes, the birthday girl had a GREAT Time. It had felt so desperately alone, traumatic and so very dark and scary. Beyond my control. Thank you so very much, Cathy. You are truly a Godsend for me now. You kept telling me something about a hotel with a beautiful Spa. LOL. you told me yesterday have already appeared to me today so I'll just sit back and see where it takes me. Amazing. Just one day later two pretty random examples have already manifested themselves. birthday readings from you every year from now on. that I would travel to Amsterdam, Greece, China, and several other places. You did approximately 20 minutes of my reading from my handwriting alone! My dear friend is going though a really rough time and would like to work with someone with your talents. I learned about you from another old friend (a renowned and noted astrologer). I just wanted you to know some of your reading has come true already. You are so accurate. You both were amazing! People were positively thrilled with your readings and you enhanced our business and profile dramatically at this conference. Absolutely the hit of the entire 13,000 person conference. We couldn't have been happier with the results. They've been working with us since 2005 and are fantastic! Every single prediction you made to every person there has actually occurred. We are actually still in shock! Can you explain how Elizabeth knew such personal things about me? My sister passed away three years ago. Her cancer started in her chest. Elizabeth told me she was very sick and pointed to her chest EXACTLY where her tumor was. I guess I've never believed.....just really shook my core. I have seen her, professionally, for years! She has always been dead on! Timing was off on one event by 2 weeks, but hey, it happened!!! You won't EVER regret a decision regarding Cathy!!!! by the accuracy of your predictions and insights. Totally made my day. Thank you! few months and the current things going on in my life. I can truly say my sessions with Cathy absolutely revolutionized my life on every level! I am just floored. Everything you said is accurate. I am so deeply moved. I just want to talk with you all night. This reading has deeply encouraged me and actually changed my life. It came at a critical time. I am so grateful to you. she will tell you about your past lives; she is a medical intuitive; she is a pet psychic; a medium, and sometimes she works with her friend Gail for a double psychic reading or healing. She does many types of astrology; she heals chakras and energy; she does tarot; she teaches spiritual tools/techniques, and she can do healings on other people for their highest good. No need to go elsewhere since her skills will offer whatever you need! I love the video Skype sessions with her at night around our busy schedules. For me, Cathy has provided clarity about the events that are coming with my business, myself, and my relationships as well as past life patterns. I lived in Atlanta for a few years but I did not find Cathy until I lived in Florida. Cathy is caring, accurate, and a helpful resource. Take advantage of this wonderful opportunity with Cathy and enjoy! I am ecstatic about what you had to say. Oh my God. You had me crying and shocked. I told you she was amazing. Everything she told me ten years ago has happened. That I would marry someone else - a soul mate. That we would have three kids, and we do. Even the birth order and how they would be. I heard about you from a friend who saw you at a party and said you were fabulous and very accurate. Apparently you said something completely random that actually happened out of the blue a few months later and they were shocked. Another friend - who heard about you from them - beat me to you - and was completely blown away. You got so many hits she couldn't believe it. She thought you were totally awesome. You said I was not going forward with the man I was seeing but soon would be engaged with a man who was already in my life - well, it happened, just as you said. I've never been happier and we have chosen our wedding date. I had received this lost pet was at a neighbor's (several doors down) underneath a deck or out building and now was locked in, but would be found in a day and a half. A year later - everyone is still talking about you. Everything you said actually happened! Even the skeptic is completely and utterly convinced. He was like, OMG! You were scary accurate - for everyone. We still can't get over it! Cathy is truly prescient. It is a rare gift and few can really claim to have it. Cathy is clearly one of the few. - Party Guest/Roman Catholic Priest in Training. are still talking about them. I know first hand as I experienced and love your in-depth reading style. You are a multi talented intuitive. By the way, I think you are the coolest bestest most creative and accurate reader out there! I had to call you back because, of course, you had said so many things that there was no way you could have known. Even at the event, there were several things that you had said to me that had particularly stood out for me that I knew were already true or I knew that they were plans that we had made. And, of course, there was no reasonable way you could know these things....so I was fascinated by that. You are phenomenal. You are amazing. You were spot on. You said I would be invited to an event near water and boats and I would meet someone who would be a good match but may have had financial troubles - and you even provided the date. Well three days later I got a wedding invitation and when I called my buddy I told him I'd been to a really great psychic in Atlanta and what you'd said. He said, in fact, the wedding was at a Yacht Club, and, indeed, they wanted to introduce me to the bride's sister who had, in fact, been through a lot of financial ups and downs. And this is the incredible thing - it was for the exact date that you had said. The other thing - and there you go again! You were amazing - really way beyond my expectations. I feel so inspired. and then she remembered that she was having all of her windows replaced. Cathy remarked that another lady there was devoted to her grandchildren. What Cathy did not know was that the lady had lost her son recently and the grandchildren were mostly living with her. There were many instances that she hit the mark with the audience. I think we will all remember Cathy and wonder about her “powers”. Cathy gave me an hour reading that was so in-depth, so thorough, and even emotional at times. She said things that were hard for me to wrap my mind around. Truly I left that reading feeling I had wasted my time and my money. Fast forward seven months later, I have to tell you, 90 per cent of what Cathy told me last November has happened. I can promise you. I had to listen to my recording several times because I was in so much disbelief. read, but she nailed me. She truly gave me more than I could have expected. I can't wait for the other parts of the reading to manifest. Let's just say that it is so good, it's almost hard to believe in seven months I have had the opportunities that have been presented. A sample of her predictions included and I might add exact time frames, as well, exactly what was going on with an ex boyfriend (painful); about a high profile athlete I had met (disappointing); lucky time frame in love (two men wanted to seriously date me and wanted a future with me); a new car I would get (exact make and time-frame, even though at the time in terms of my budget this was not possible), a girls' trip to Florida and Vegas (never take girls' trip - did and to both locations); a job promotion and departments that would branch off (departments did branch off and got the first raise in over two years - so it was not expected)....and this is just a few examples. and not what I wanted to hear. Try it for yourself. Make sure you go with an open mind, and heart, so you get an accurate reading. I asked you about my current boyfriend at a party. You said "not him." You predicted this guy would come into my life. You described him perfectly. You gave the exact month. You described our relationship - how it would be and feel. And there he was. He came in as you said - right out of the blue. I couldn't believe it. You were extremely helpful a few years ago. You indicated I would be working by water and around golf and received the initials SP. You also received my boss would be named Al. Well I ended up selling real estate at a golf preserve with the initials you indicated and working with a man named Al. I cannot thank you for taking such a great weight off my shoulders. You have validated everything I've been feeling and absolutely hit everything on the nose. Positively nailed it. I am so grateful to this reading. you indicated and was offered the position. I will start working in there in a month. Also, (and this one came as a total shock to me) my friend and I started dating again six days after our reading. You had mentioned a time frame of six with us but quite frankly I wasn't sure if we'd even date again at all. I am surprised, but very happy at how everything has turned out. I just wanted to call to let you know how moved I was in so many ways by our recent reading....You were dead on in every area.....and some more that I realized after the session....It really was fantastic. Can't wait to meet with you again soon. It's amazing. When you told me a company would approach me to offer me the same title, in the same geographic area in the same field, I thought, she's crazy. And today I'm going for an interview. It's just amazing! I don't know how you do it! I've never done this before and didn't know what to expect. It's really quite amazing to speak to someone that seems to know you and your thoughts better than you even know yourself. It's really quite unbelievable. strange people for skating. Melbourne is South and it was the HOTTEST day they have had there since 1902! So I did go South to a hotter place! Figure that one. Also, you mentioned that I wasn't finishing my Child and Youth Studies degree and it seems that may be the case as we think we are getting our Permanent Residence here (although I dislike it here) and may transfer the Child Degree here or I may switch to a Sports Degree. Although the Sports Degrees in the US are better than here I think. It happened just as you said. Just as you said. And even the numbers you gave me came up that very day and the numbers you gave me today as just what I've been playing with one difference and the other one is a previous street address. I want to give a little feedback from our meeting in February. WOW. You told me that my former partner would have problems letting go. Yes. This is dragging on and on and on. Breaking away from him is proving very difficult. You told me that my job would continue despite the threat of layoffs. The company laid off about 500 people in total. I still have a job. I am so thankful for that. You also mentioned that I would become involved with someone almost immediately. Well. . . that is true also. Your accuracy is amazing. If I should schedule time with you, please let me know. You nailed it. You said I'd save $25 K. You described my new house to a T – the timing – everything! I was very much surprised that the projects you predicted would do well, did. Also I did meet that man from Florida you saw - on a plane. I'm so excited to talk with you and feel so happy about the way things will unfold now. My friend said you were amazing. You said her trip to Orlando would be lucrative. She didn't think you knew what you were talking about, but she met a big new client when she was there – and she wasn't even there on business. Man, Cathy. You are right on. Even when I can't see how it could happen. It does. I can't believe how accurate you are. You got all these unlikely details about my birthday. I couldn't believe it. Cathy - I really cannot thank you and your partner enough for last night. It was such a deep meaningful reading for me and I have a lot of faith in what I hope and pray will be and my daughter's future and one that I know she wants. You have done it again. You have proven your accuracy. In your reading you said I wouldn't be going to China to train, but others would. Today my instructor said I would not be going with them to China to train but he would allow me to go to Singapore. ...anyhow you were correct again!! Also, you said in your reading that my son, would be good at track and field, running and long jump. Well guess what. He just got into zones for both long jump and running 100 m and 800 m.
Thank you once again for all the love and light that you bring into this world. You bring a much needed positive balance to our Universe. I am lucky to know you and call you a friend. You were so there for me at this critical time. Your help will never be forgotten. I don't how you know this stuff but it has helped me weather the most difficult time I can remember. I will never forget how you were there at the critical juncture. That was so weird. You described a guy that’s been on my mind – what he does, what he’s like and what he’s into – not the guy I'm seeing – and you even came up with his name! I'm freaked out. I have gone back over the last ten years of your readings and found prediction after prediction to be accurate, detailed, and often to the day. Even the predictions you had for my son and daughter which seemed completely unlikely came true. Also the healing/clearing work you did for me was profoundly life-changing. You really are remarkable. Thank you for sharing everything with me, Cathy, and giving me so many answers! Because the session went so well I can only assume my mom wanted to me to have more answers about how she died. To know about her grief over it and how she is will always be with me! Can’t thank you enough! I’m so comforted! By the way, you described the whole sequence of events of how I would finally become pregnant during our last session and it was incredibly accurate. It was like you were right there at his death. You are describing his condition exactly. Even the expression on his face. And that phrase you said was our private message of affection to each other. Cathy, you are so accurate. You said I was a shoe-maker in a past life. Well I just started to cry. I've always loved shoes and even have a miniature shoe collection. I loved your reading so much so that I had to invite you to Pittsfield so all my friends can share the experience! After attending astrology classes taught by Cathy B, I understand myself and the world about 1000 times better! Cathy has a phenomenal understanding of astrology and astrological concepts, and has a great ability to convey that knowledge to us. Because of her instruction, I feel very comfortable with natal charts, interpretations, aspects, progressions, and many other concepts of astrology. I highly recommend her classes to beginners, intermediates or advanced students of astrology! Cathy, last night I had my debut as a psychic by volunteering at a fundraiser for the Georgia ASPCA. What an experience! You are a wonderful teacher. Thanks to you I got the confidence to "get out of the psychic closet." I have really really enjoyed and learned and developed from this workshop. I would absolutely take another class with you. Fabulous. Cathy B is one of the most gifted healers I have met. She brings to the table many, many hats. Very multi-faceted whether you have come to her to take one of her many classes she offers or for a reading to gain guidance into your "traumas/dramas.
" She makes metaphysical-ness easy to learn with lots of fun-loving play. Cathy is always showing behaviors on how to lighten-up where miracles happen. An extraordinary, compassionate, generous human-spirit of God at work. Our session Saturday was the best clearing ever. Many thanks! I found your guided work to be authentic, sacred, pure and useful. Also my assistant's reading just blew her away. She says she just loves you! Cathy's business predictions have proven correct time and time again. I refer to her often to assist me in my career choices and business decisions. My colleagues are even asking for her take on projects. Cathy's accuracy and clarity is amazing! The Aquarius Newspaper, Oracle 20-20 Magazine, the NCGR Journal for GeoCosmic Research and now at www.allthingshealing.com under astrology and tarot. She has been featured in the media, published nationally in major arts publications and is an international performing arts producer. Her appearance on Atlanta's leading morning radio talk show Q-100's The Bert Show and the accuracy of her predictions resulted in 1,000's of responses. 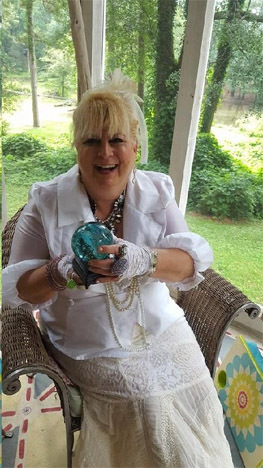 Cathy is available for private readings, corporate and private events, workshops and retreats and cosmic cruises and can be reached at (404) 292-2000, (404) 543-1080, via cathyb108@aol.com or at www.cathyburroughs.com. I can't thank you enough for the insight you provided and the peace of mind your reading has given me. 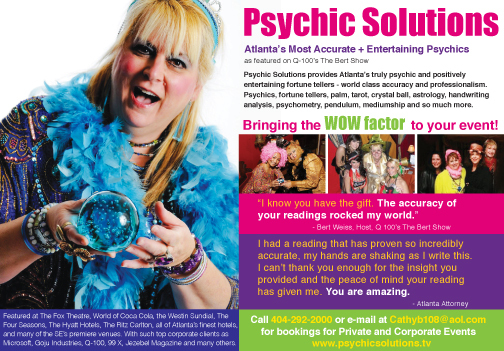 Psychic Solutions....Jezebel Magazine.....Q 100... 99 X and parties all over town! guides and her in-depth knowledge of astrology, tarot and much more, Cathy's readings provide you with detailed, practical insight and guidance that you need for your life at this time. Cathy also provides healing/clearings, past life readings, spiritual counseling, relationship guidance, with a wide range of abilities to help you gain clarity and insight into all aspects of your life. She is noted as the reader that rocked Bert Weiss of Q-100’s Atlanta’s leading morning talk show’s world with the accuracy of her predictions…. When some one like you can give me an opportunity to talk with my mother the way you did; It's a life changing experience. It was a gift I won't soon forget. It meant the world to me!!!!!!!!!!!! The Bert Show, combined with the accuracy of her predictions there resulted in nearly 1,000 responses. Here is Cathy's audition for Oprah's new station OWN. Cathy is also a noted astrologer and was the previous Vice President of the Metropolitan Atlanta Astrological Society (MAAS). Her columns and articles on astrology and the metaphysics have appeared on www.astrologyforthesoul.com/chb, The Decatur Review/Journal (later The Story Newspapers), The Aquarius Newspaper, Oracle 20-20 Magazine, the NCGR Journal for GeoCosmic Research and now at www.allthingshealing.com under astrology and tarot. Cathy's business predictions have proven correct time and time again. I refer to her often to assist me in my career choices and business decisions. My colleagues are even asking for her take on projects. 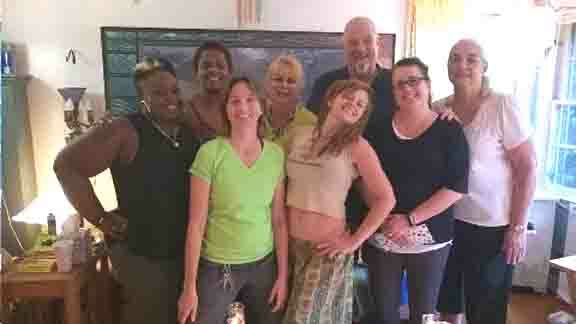 Cathy also teaches all aspects of the metaphysics including astrology, tarot, psychic development, healing/clearing, and lead retreats, workshops and cosmic cruises nationally and internationally. She has lectured nationally and was a specially invited speaker and workshop leader at the American Dowsing Society's national conference. A noted international producer, Cathy articles on the arts of appeared nationally and internationally in Dance Magazine, Theatre Week, High Performance, The Washington TImes and been commissioned for People Magazine and The Washington Post. She has produced and promoted such ground-breaking events as the NOTT Dance Festival, the Nottingham Theatre's International Dance and Performance Series, Brave New Works, the Baltimore/New York New Performance Festival, The Live Circuit International Touring Circuit, and many others. Cathy graduated from Sarah Lawrence College and continues to work as a freelance international producer on a variety of projects. 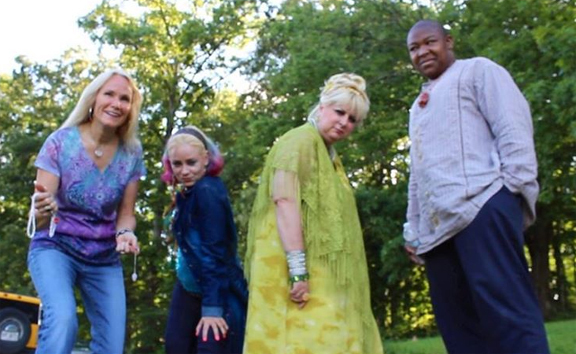 The many talented readers of her private party and corporate event business Psychic Solutions have been featured at the special events of Q 100, 99 X Jezebel Magazine, Microsoft, Coca-Cola, Gojo Industries and many others. They have also appeared at Atlanta's premiere venues, including the Hyatt Hotels, the Westin Sundial, The Fox Theatre, The World of Coca-Cola, among others. 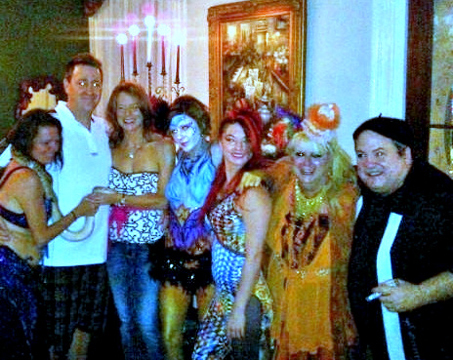 The LA agents of Will Ferrell and Jim Carrey invited Psychic Solutions to their holiday party. Psychic Solutions provides world class psychics, fortune tellers, astrologer, palm, tarot, lip, tea leaf, crystal ball, pendulum, psychometry, flame readers as well as handwriting analysis and more. 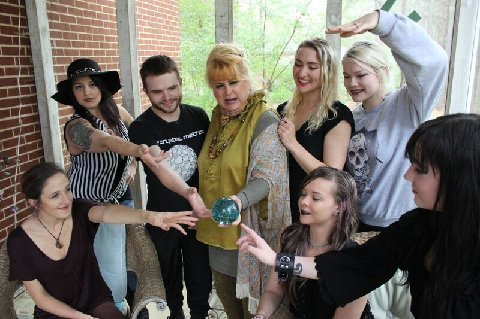 Atlanta's most accurate and entertaining psychics have been featured on Q-100's The Bert Show as well as the parties of Q-100, 99 X, Jezebel Magazine and many of Atlanta's premiere venues including The Westin Sundial, The Hyatt Hotels, The Fox Theatre, The World of Coca Cola and others. World class fortune tellers, we provide a wide range of readings including palm, tarot, astrology, psychometry, pendulum, crystal ball, handwriting analysis and can customize to your party's theme. We also provide pamper and spa parties for both adults and children. 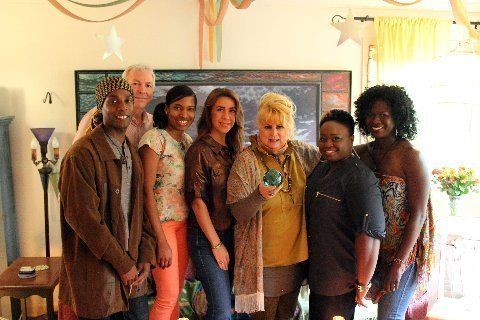 Psychic Solutions have been invited to the holiday party of one of Hollywood's premiere agents. Halloween, Holidays, New Years, Mardi Gras, and more! 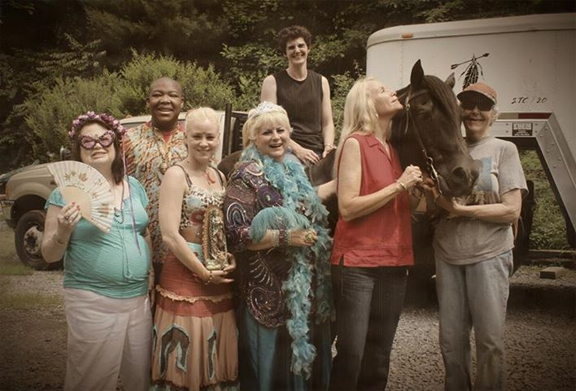 For private readings, special events, retreats, workshops, cruises, healings and much more! Ask about our unique CSI Psychic Profiling Evening......We can customize our services to your concept as well. We thought you were our own little secret. Prediction, after prediction. Amazing accuracy! We've had Cathy back over and over for our special Girls' Night Out! Spectacular! When some one like you can give me an opportunity to talk with my mother the way you did; It's a life changing experience. It was a gift I won't soon forget. It meant the world to me!!!!!!!!!!!! I have to say my head is still swimming from that incredible reading. .. Amazing....Validation after validation.... fabulous!!! You are a true angel on this earth and you are doing exactly what you are suppose to do. Her handwriting analysis was incredible! I gave her the samples in advance and she came up with about 30 items about each person with incredible detail. I couldn't believe it! We loved it! daily life. You have wonderful talents and I am grateful that you made them your life’s work and shared those gifts with us. It was a truly magical night, filled with visions from countless realms, and enchanted perceptions. Palm, Astrology, Fortune Teller, Psychometry, Handwriting, Angel, Tarot and more! Also pamper parties, spa parties and many fabulous performers! our readers will make an unforgettable contribution. The Fox Theatre, BED and many others....We are professional and can dress in accordance with the party theme. This past season, we read for many of the events hosted by Jezebel Magazine. there were huge lines and they were often the hit of the night. The readers were awesome: professional, entertaining, and accurate with incredible detail. and think they would be perfect for Halloween! …. and always come dressed theatrically to fit the mood of the party. hand writing analysis, angel readings and more. They have been quite a success at Jezebel Magazine parties. For more information, call 404-543-1080. Relationships - Past Lives - Life Purpose and More! Please note: It is generally recommended though not required that all clients be 18 years of age or older or if not, have permission to seek guidance and advice. Any advice you receive is not a substitute for professional advice that you would normally receive from a licensed professional such as a doctor, psychologist, lawyer or financial consultant. We cannot and will not be responsible for any interpretation made by or used by the recipient of the information. Additionally, there are no refunds and all deposits are non-refundable. Thank you as always for your patronage. We are most grateful and appreciate your patronage.